Product categories of Ethernet And Power Over UTP Cable Converter, we are specialized manufacturers from China, Ethernet And Power Over UTP Cable Converter, Power Over Ethernet suppliers/factory, wholesale high-quality products of UTP Cable Converter R & D and manufacturing, we have the perfect after-sales service and technical support. Look forward to your cooperation! EO2 is an Ethernet extender over UTP cable. One EO2 at the network end can support one or multi remote models and their connected IP network devices. This EO2 can transmit over telephone line, Ethernet cable, and twisted pair. It is provided with excellent lightning protection and anti-interference capacity. In the real work environment, the network bandwidth could reach up to 60Mbps. With the Ethernet extended to 750meter, it has enlarged the Ethernet network application area, cutting down the project cost by using Cat5e or Cat6 cable. 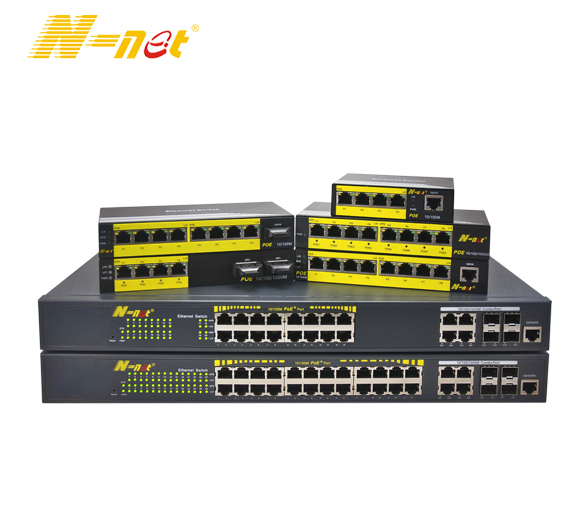 N-net EO2 series have POE function, powering remote EO2 transceivers and their connected IP network device, default as a master terminal.